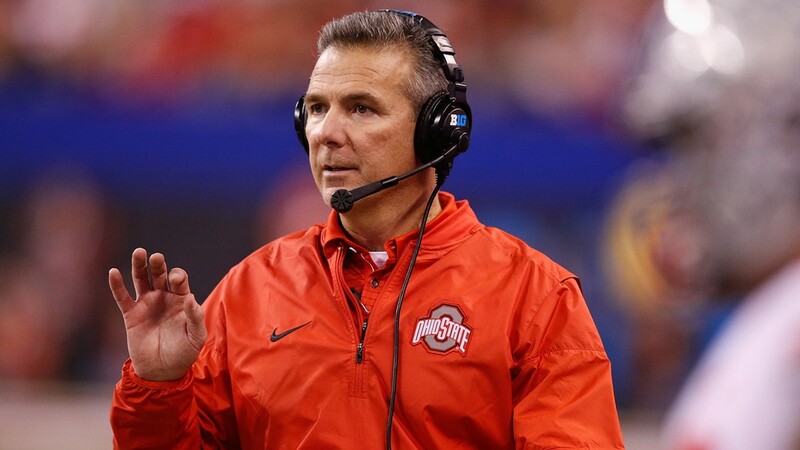 Urban Meyer has announced that the Rose Bowl will be his final game as Ohio State's head coach. On Sunday, it was revealed that Ohio State will end its 2018 season in the Rose Bowl. 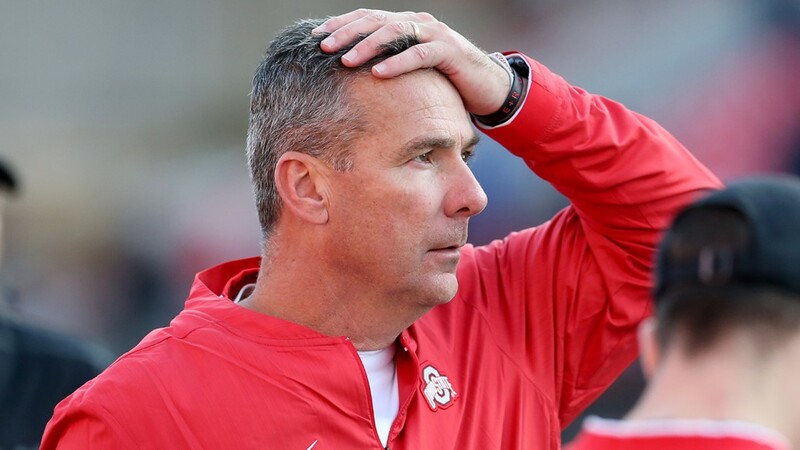 As it turns out, the 'Grandaddy of Them All' will also mark the end of Urban Meyer's time as the Buckeyes' head coach. Meyer's retirement comes on the heels of a year that saw plenty of success on the field, but also controversy off it. 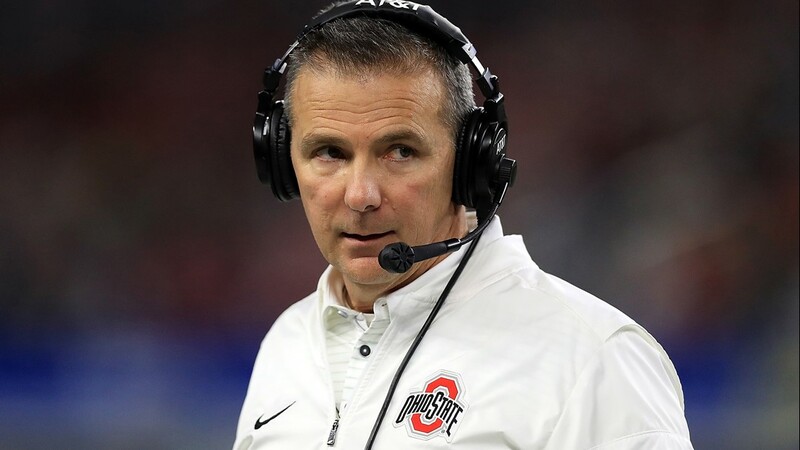 In August, Meyer was suspended for the first three games of the season -- as well as training camp -- following an investigation into his handling of claims of domestic violence made against former assistant coach Zach Smith. In his absence, Day served as interim head coach, compiling a 3-0 start to what was ultimately a second straight Big Ten championship season. 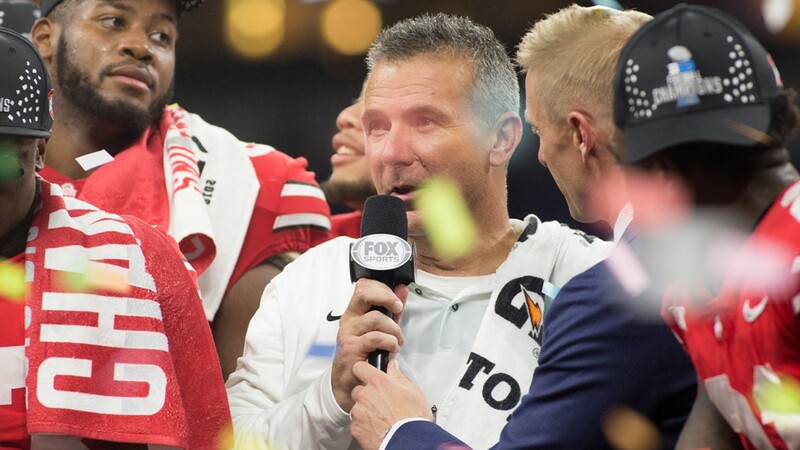 Head coach Urban Meyer of the Ohio State Buckeyes speaks to the fans after winning the Big Ten Championship against the Northwestern Wildcats on Dec. 1, 2018, at Lucas Oil Stadium in Indianapolis. Ohio State head coach Urban Meyer of the Ohio State Buckeyes looks on while playing the Michigan State Spartans on Nov. 10, 2018, at Spartan Stadium in East Lansing, Michigan. 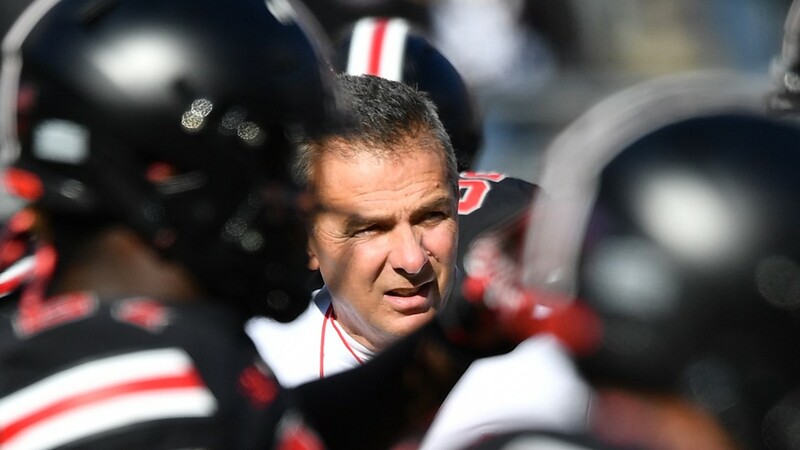 Ohio State head coach Urban Meyer watches his team warm up before a game against the Nebraska Cornhuskers on Nov. 3, 2018, at Ohio Stadium in Columbus, Ohio. 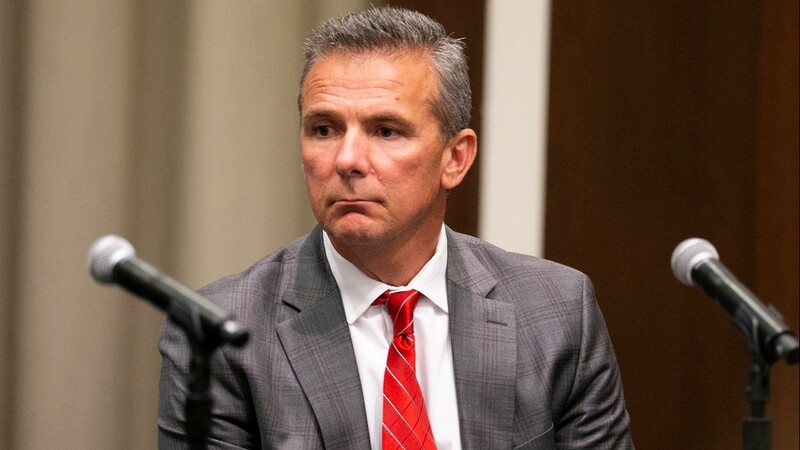 Ohio State Buckeyes head coach Urban Meyer listens as university president Michael Drake speaks on the Ohio State University campus on Wednesday, Aug. 22, 2018. 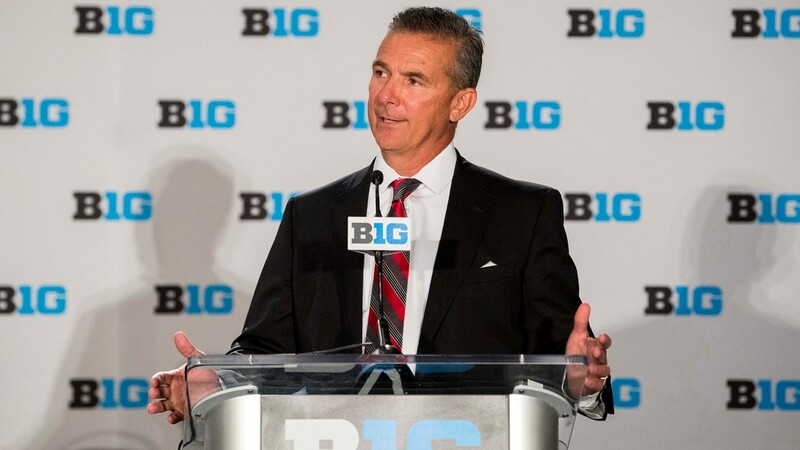 Ohio State head coach Urban Meyer addresses the media during the Big Ten football media day at Chicago Marriott Downtown Magnificent Mile on July 24, 2018. Head coach Urban Meyer of the Ohio State Buckeyes during the Goodyear Cotton Bowl against the USC Trojans in the second quarter at AT&T Stadium on December 29, 2017 in Arlington, Texas. 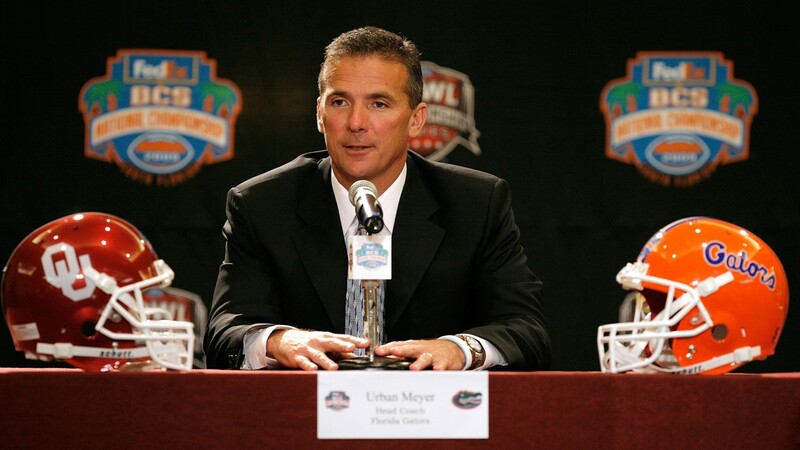 Urban Meyer speaks to the media after being introduced as the new head coach of Ohio State football on Nov. 28, 2011. 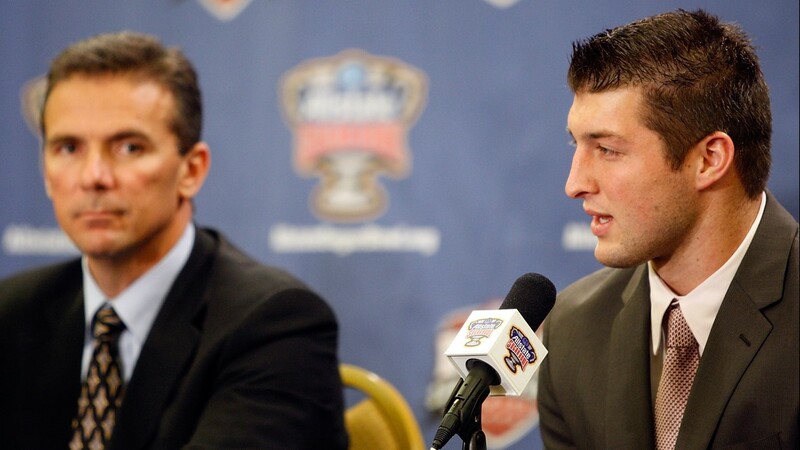 Quarterback Tim Tebow speaks as head coach Urban Meyer of the University of Florida Gators listens during a news conference on Dec. 27, 2009, in New Orleans. 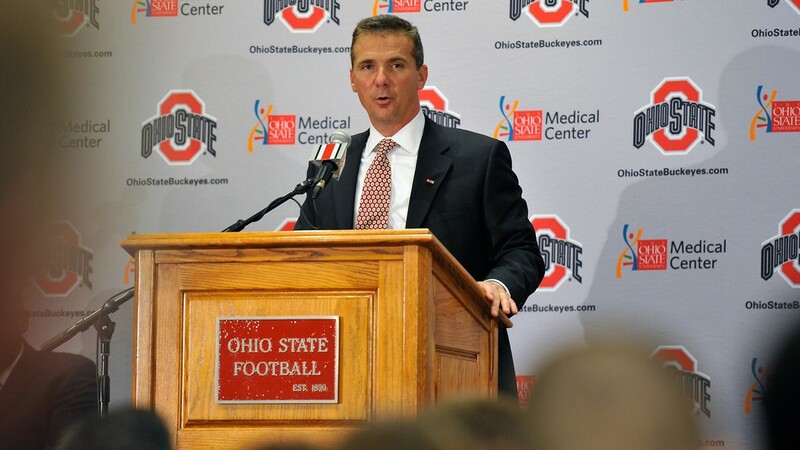 Meyer announced he would take a leave of absence from the team due to health concerns. 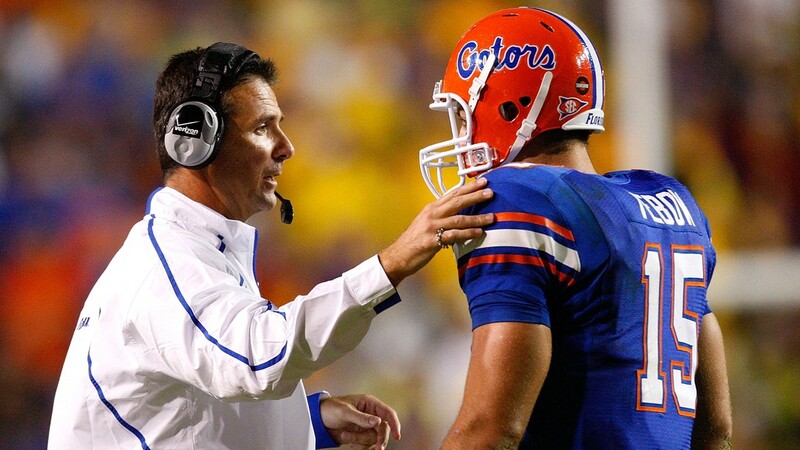 Head coach Urban Meyer talks with quarterback Tim Tebow of the Florida Gators during the game against the Louisiana State University Tigers at Tiger Stadium in Baton Rouge, Louisiana, on Oct.10, 2009. Head coach Urban Meyer of the Ohio State Buckeyes hoists the trophy after defeating the Oregon Ducks 42-20 in the College Football Playoff National Championship Game on Jan. 12, 2015, at AT&T Stadium in Arlington, Texas. U.S. President Barack Obama stands alongside head coach Urban Meyer during a ceremony honoring the NCAA National Championship University of Florida Gators football team on April 23, 2009, in the East Room of the White House in Washington, D.C.
Urban Meyer gets Gatorade dumped on him as Javier Estopinan and Louis Murphy look on towards the end of the game on Jan. 8, 2008, against the Oklahoma Sooners in the FedEx BCS National Championship Game at Dolphin Stadium in Miami. Head coach Urban Meyer of the Florida Gators speaks during the FedEx BCS Head Coaches Press Conference on Jan. 7, 2009, at Harbor Beach Marriott Resort & Spa in Fort Lauderdale, Florida. 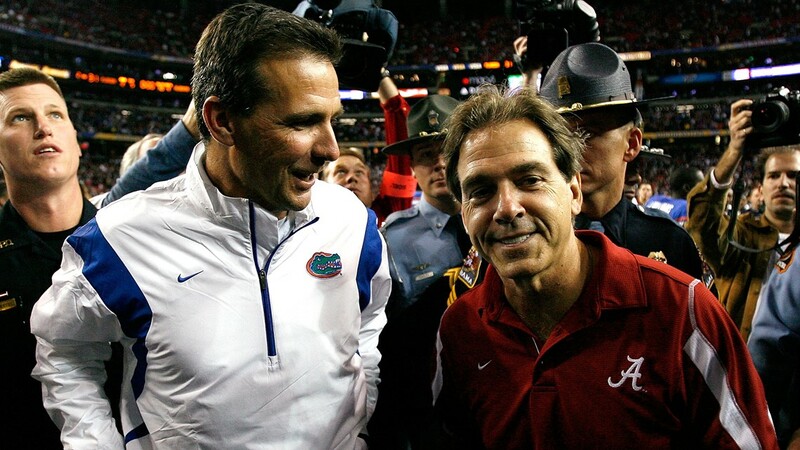 Head coach Nick Saban of the Alabama Crimson Tide congratulates head coach Urban Meyer of the Florida Gators after the Gators 31-20 win in the SEC Championship on December 6, 2008. 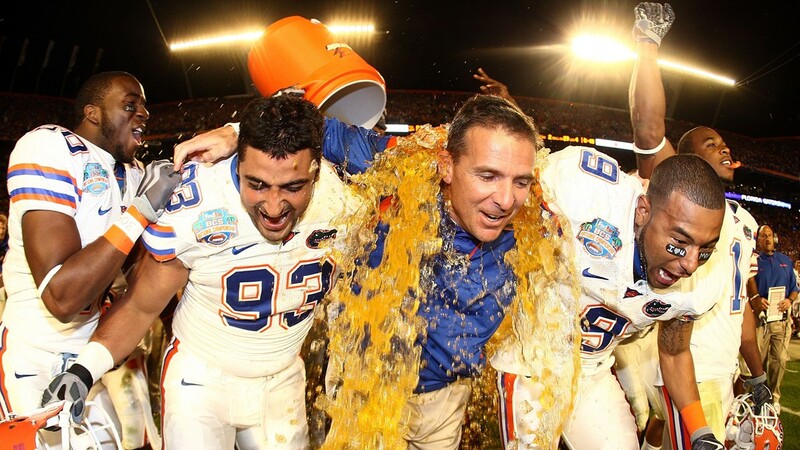 Head coach Urban Meyer of the Florida Gators talks to the crowd as they celebrate their 31-20 win over the Alabama Crimson Tide in the SEC Championship on Dec. 6, 2008. 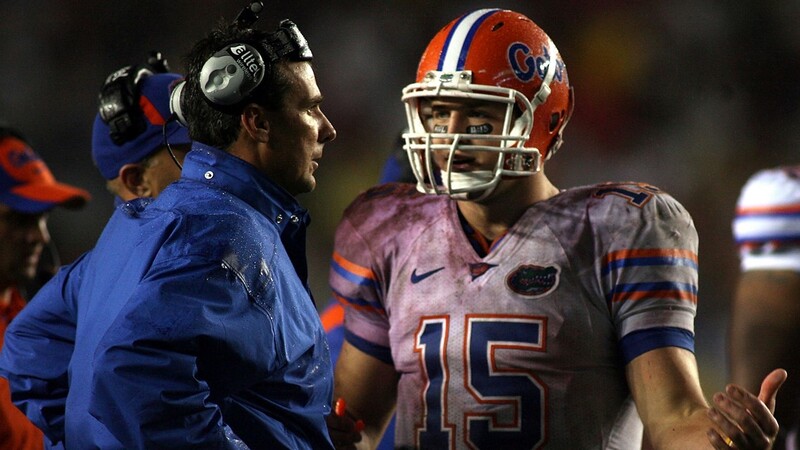 Head coach Urban Meyer of the Florida Gators chats with quarterback Tim Tebow during a game against the Florida State Seminoles on Nov. 29, 2008, at Bobby Bowden Field at Doak Campbell Stadium in Tallahassee, Florida. Head coach Urban Meyer of the University of Florida Gators watches the game against the University of Kentucky Wildcats on Sept. 23, 2006, at Ben Hill Griffin Stadium in Gainesville, Florida. 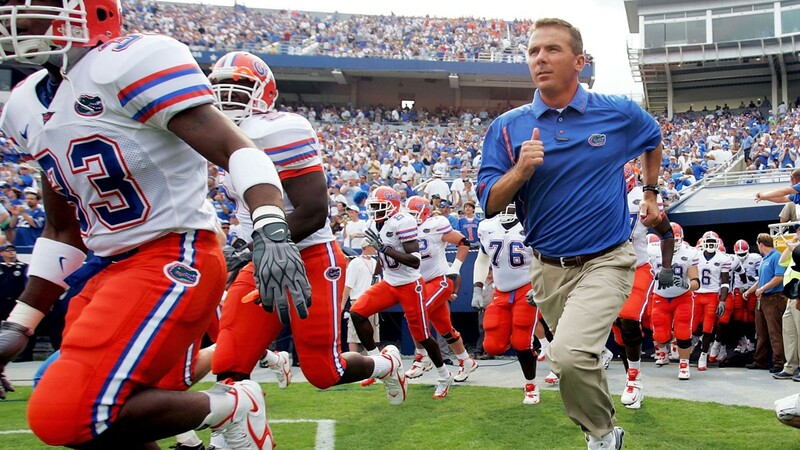 Urban Meyer the head coach of the Florida Gators runs onto the field before the game against the Kentucky Wildcats on September 24, 2005, at Commonwealth Stadium in Lexington, Kentucky. Quarterback Tim Tebow (left) of the University of Florida and head coach Urban Meyer (right) pose with the Heisman trophy after winning the 73rd Annual Heisman Memorial Trophy Award on Dec. 8, 2007. 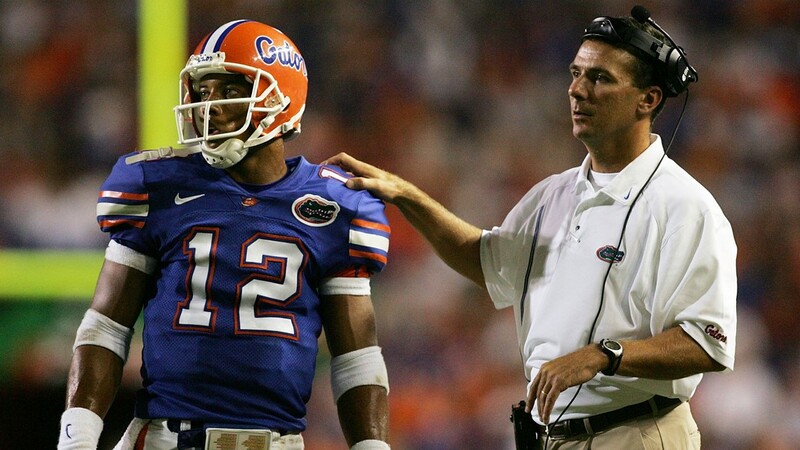 Head coach Urban Meyer of the University of Florida Gators talks with quarterback Chris Leak on the sideline while taking on the Louisiana Tech Bulldogs on Sept. 10, 2005, at Ben Hill Griffin Stadium in Gainesville, Florida. 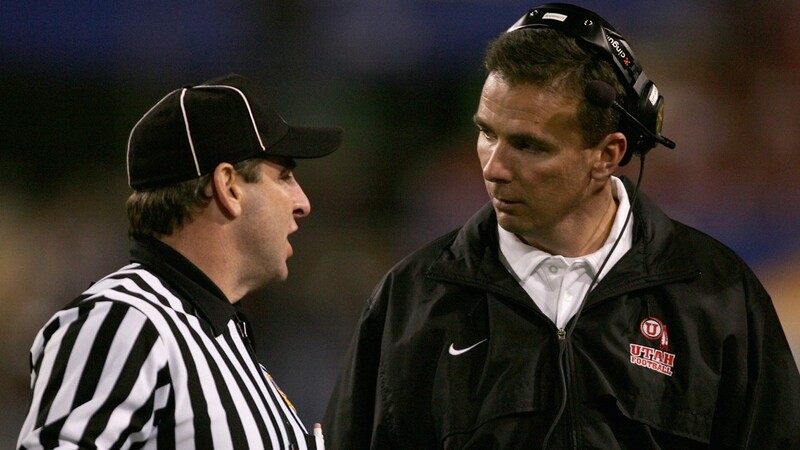 Utah head coach Urban Meyer speaks to the referee in the first quarter against Pittsburgh during the Tostito's Fiesta Bowl on Jan. 1, 2005, at the Sun Devil Stadium in Tempe, Arizona..
During the Buckeyes' run to a 12-1 record, Meyer dealt with health issues, most notably a brain cyst which has caused severe headaches -- one of which brought him to his knees during the Buckeyes' October matchup against Indiana. 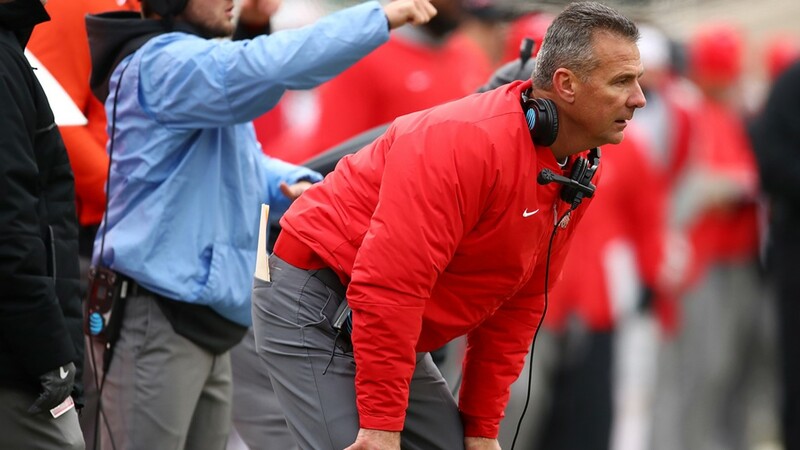 On Friday, Football Scoop reported that Meyer wouldn't be coaching past the 2019 season and that an agreement was already in place for the 39-year-old Day to succeed him. As it turns out, the transition in Columbus is taking place much sooner than that. 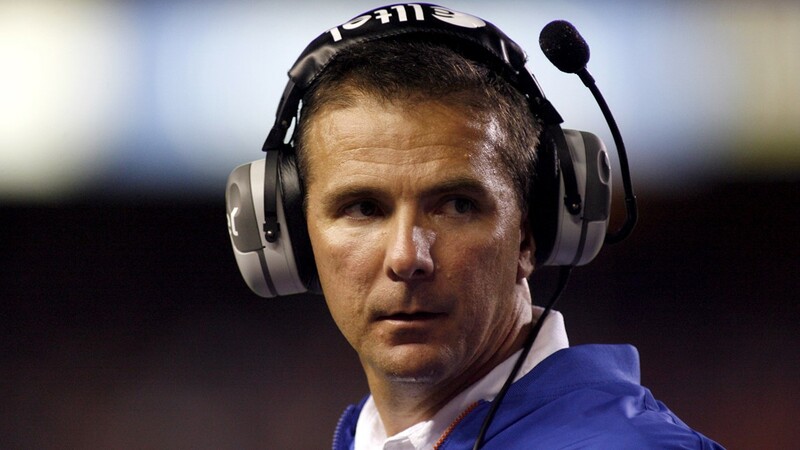 In seven seasons at Ohio State, Meyer compiled an 82-9 record, three Big Ten championships, the 2015 College Football Playoff championship and a perfect 7-0 record over rival Michigan.